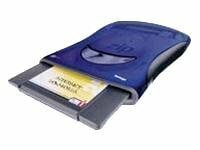 Iomega Zip Drive 250MB External USB, Color Blue by Iomega at Learning Delphi. MPN: 30062. Hurry! Limited time offer. Offer valid only while supplies last. Protect and organize your important files by storing them on 250MB or 100MB Zip Disks. Connect to your computer and power your Zip Disk through the USB connection. Includes Iomega Zip Drive, USB cable, Quick Start Guide and solutions CD with software. External drive is lightweight and portable.